What do you do on a sunny Saturday? If you are an innovator or entrepreneur in York Region you would be playing in your innovation clubhouse, the Markham Convergence Centre. RIR-York was there. Que faites-vous par un samedi après-midi ensoleillé? Si vous étiez un innovateur ou un entrepreneur de la région de York, vous seriez probablement présent à votre centre de l’innovation, le Markham Convergence Centre. RIR-York y était. There are 14 Ontario Regional Innovation Centres, part of the Ontario Network of Excellence. York Region is proud to have ventureLAB. All of the Regional Innovation Centres have strong connections to universities, colleges and local businesses. ventureLAB is one of the few who welcome social innovation. 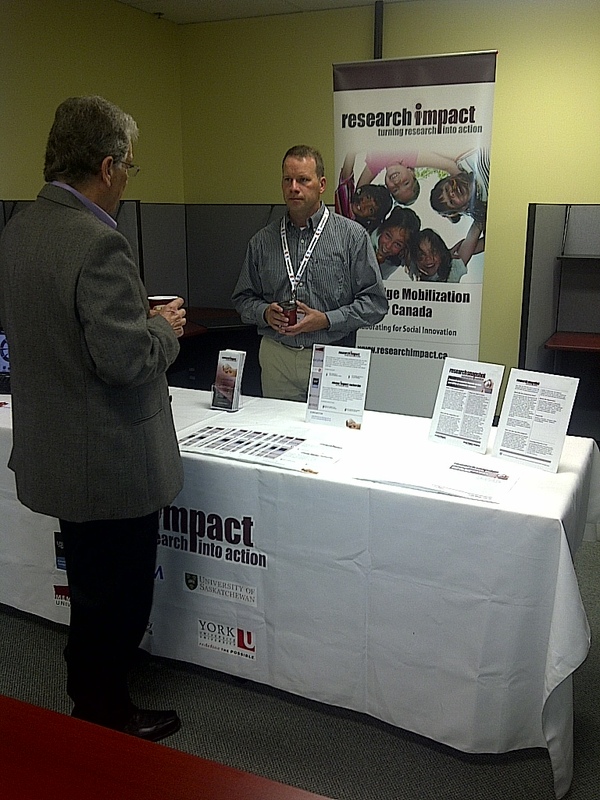 ResearchImpact-RéseauImpactRecherche (RIR), represented by RIR-York, exhibited at the September 24, 2011 Markham Convergence Centre (MCC) Open House. 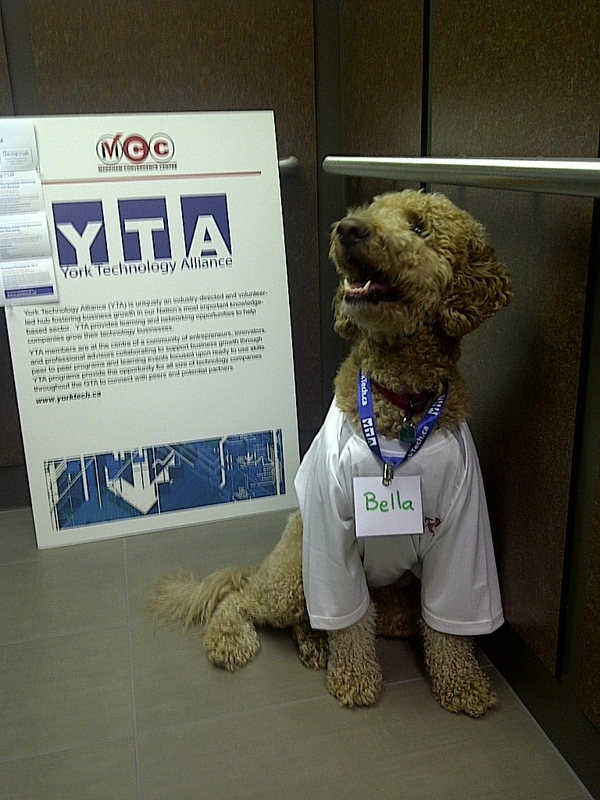 MCC is home to ventureLAB as well as Innovation York, York University’s industry outreach service, and other industry service providers such as the York Technology Alliance (YTA), Markham Small Business Centre and Markham Board of Trade. The Open House featured remarks by Robert Haché (Vice-President Research & Innovation, York University), Jeremy Laurin (CEO, ventureLAB), Bill Fisch (Chairman and Chief Executive Officer, The Regional Municipality of York) and Frank Scarpetti (Mayor, Town of Markham). Mike “Pinball” Clemons was on hand to talk about team work, collaboration and about finding the sweet spot. He observed that the MCC agencies demonstrated that character and education are required for innovation. 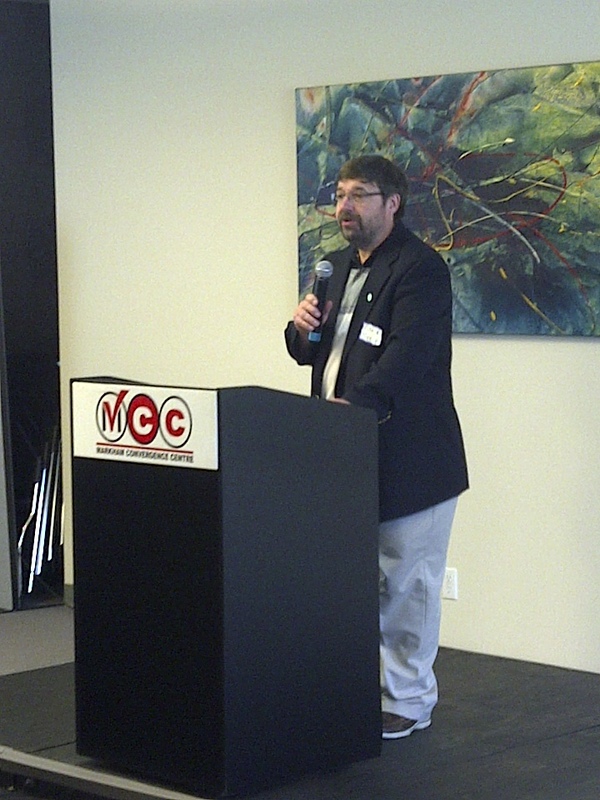 He also talked about social services and community learning as important outcomes of innovation. Working as a clubhouse the innovation organizations at the MCC practice knowledge mobilization every day. Through networking events similar to KM in the AM and York’s KMb Expo, both of which we have held at MCC, they broker relationships between industry, government, academic and community sectors so that innovators and entrepreneurs can collaborate and new products and social services. Michael Johnny and David Phipps staffed the RIR booth at the MCC Open House. They spoke to companies, angel investors, Regional and municipal staff and politicians about York University’s KMb services. It is these KMb services that help produce social innovations like the Green Economy Centre and the PARC Heat Registry. It was great to hear about York Region technology companies and the services provided to help them grow. It was also great for Pinball Clemons to stretch the concept of innovation to include collaboration and social outcomes. And among all of this energy York continues to put the social in innovation. David Phipps and York’s KMb Unit named Canada’s biggest influencersMobilizing Knowledge… with Comic Books? / La mobalisation des connaissances … à l’aide de bandes dessinées?